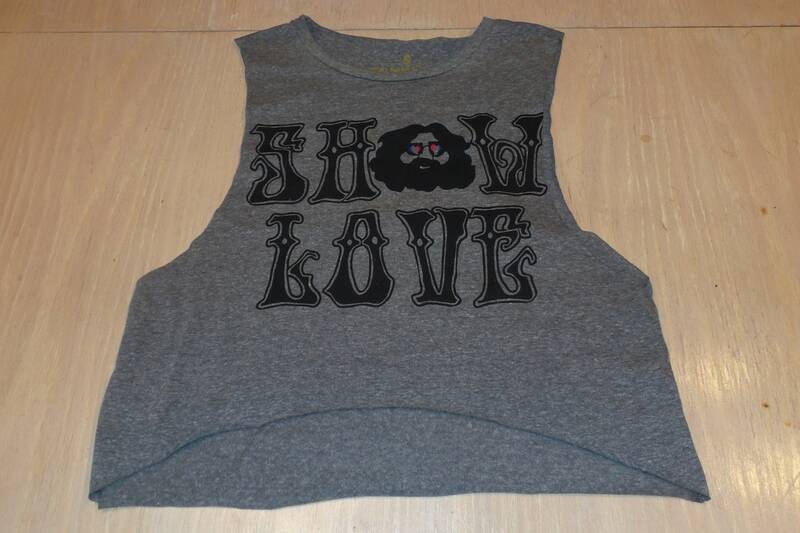 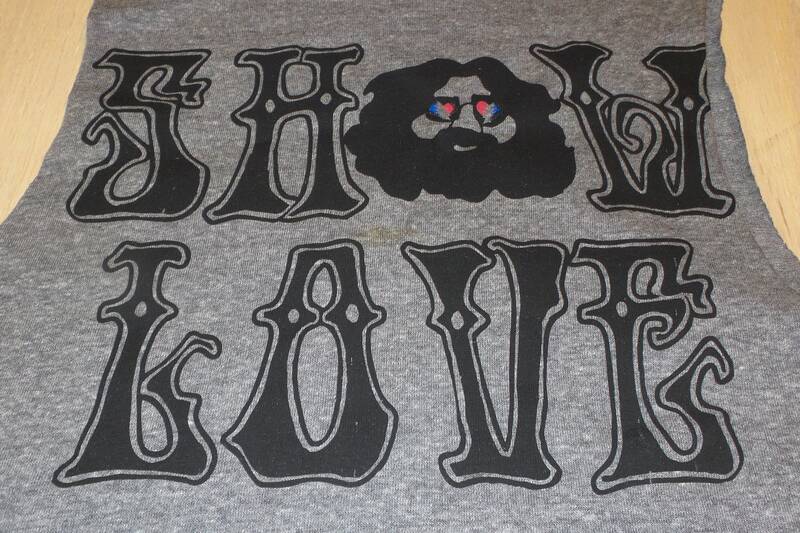 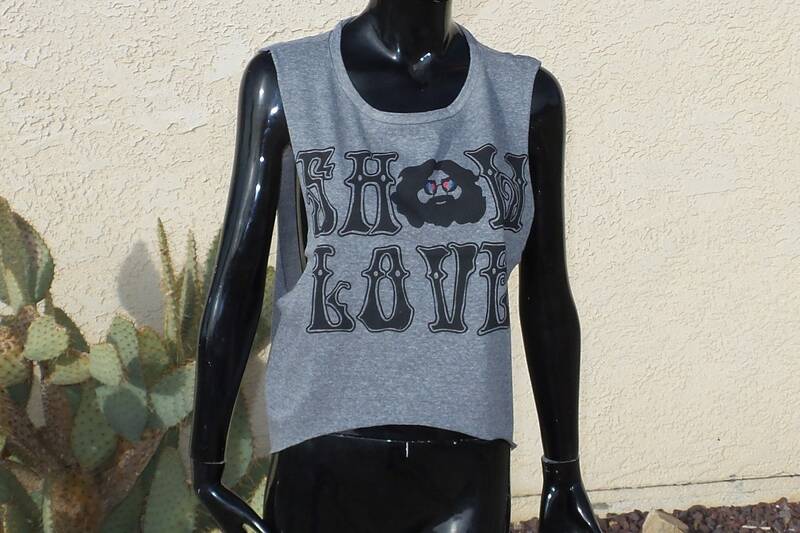 The word show love includes jerry’s face that is wearing heart sunglasses as the ‘O.’ This loose fitting cropped tank top with extra-long arm holes can be purchased from Light Sound Dimension. 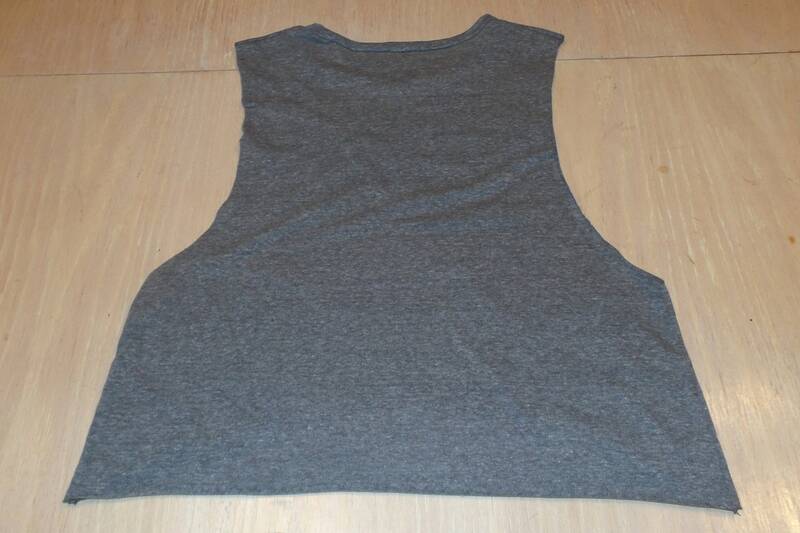 Printed in black, red and blue ink on a gray, loose-fitting cropped tank top with extra long arm holes and asymmetric hem. 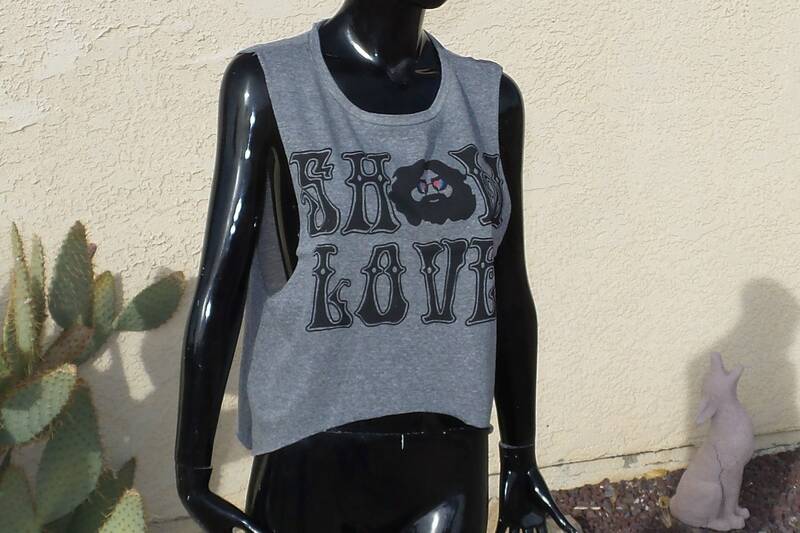 Super soft 100% cotton.